Every year I plan to make a coat and I usually put it off and off until it’s summer again and by then I don’t want to be sewing winter wear! I’ve managed to make one so far (see it here) but that does unfortunately mean that I’ve still got piles of unmade coat patterns and corresponding fabric lying around! So I’ve made a list of the coats I’ve currently got planned. My theory is that if I tell all of you I’m going to make them then I’m more likely to do it! I’m determined to make a dent in them this year, though I reckon it’ll probably be a few years before I can tick off everything on this list! I’ve chosen all relatively cheap wools for these makes as I’m so uncertain as to whether I’m going to like them or not! The idea is that these are all wearable toiles and eventually I’ll be able to use some really fancy fabric to make a perfected version of one I love! This is the first one of the list to be ticked off as it was September’s #SewMyStyle offering! This is a relatively simple wrap coat from Named which came out a couple of years ago. I made mine in a patterned wool. The right side has little polka dots and the wrong side has these white crosses over the top. I actually preferred the wrong side of this fabric so I used a mix of both for contrast. I am in love with the silhouette of this coat. It’s actually very similar to a RTW one I got from Zara a while back which I loved. I feel like this could become a classic winter wardrobe staple for me! 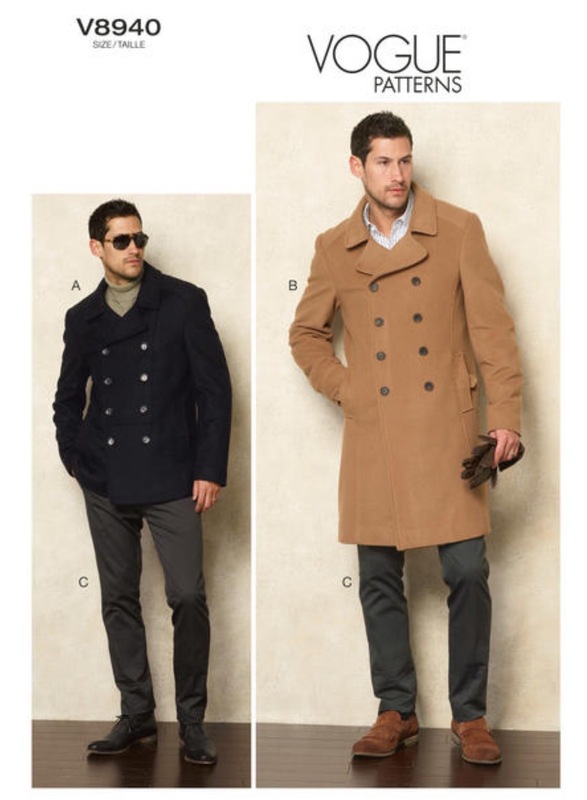 Who doesn’t love a duffle coat? I’ve always been a bit put off starting this coat due to the sheer number of pattern pieces. It just seems like an immense project! I do think it’ll pay off though. 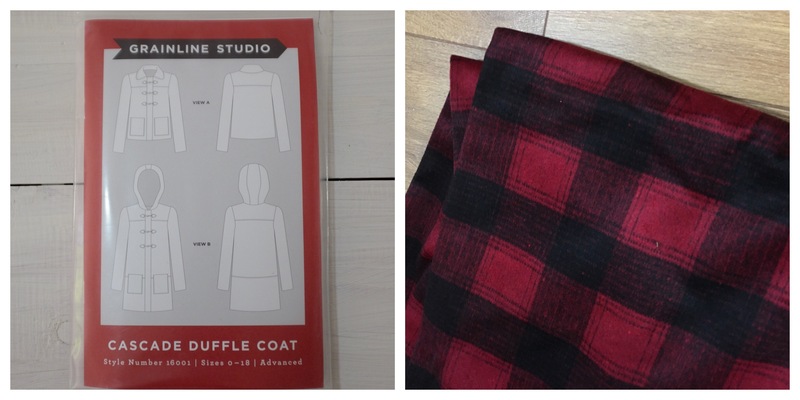 I’ve chosen a classic red and black plaid which shouldn’t age too much! I really need a light raincoat. Really, really. At the moment my raincoat is a cheap one I got in New Zealand whilst I was travelling there. It’s not particularly nice or flattering but it does the job. 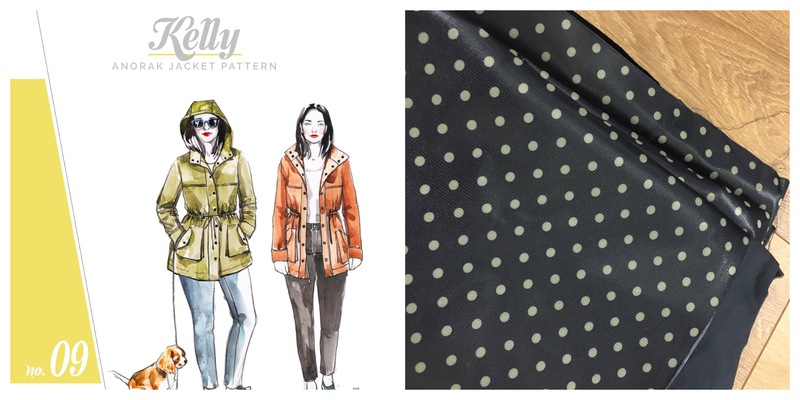 I’m hoping to upgrade with the Kelly anorak in a polka dot waterproof fabric I got from the Cloth House warehouse. If this goes well, I might make another in a yellow oilskin! This is the easiest of all the coats listed in terms of sewing skills. I haven’t picked out a fabric for this yet as I wanted to do something fun and colourful and I don’t tend to keep a lot of that in my stash! I’m on the lookout for the perfect fabric tough! I’m planning a plaid wool and faux sheepskin jacket. It’s going to be awesome and it’s definitely going to be made as I’m planning this for a future Minerva Crafts make! I’ve just got to make sure I’ve got the right hardware for this to work! Any tips on where to find great quality metal zips and poppers in the uk are welcome! Is anyone else in the coat making crew this year? I loved your version of the B8940! Definitely inspiration for me to keep going on my one! Wow! That sounds like some project! I really want to do the whole interlined and pad stitched thing but I’m not sure if it’s worth it until I’ve tried all the patterns first and made sure I’ve picked one I love – I don’t think I can bring myself do it on all 4 of them! Loved this post, thanks for the great ideas! 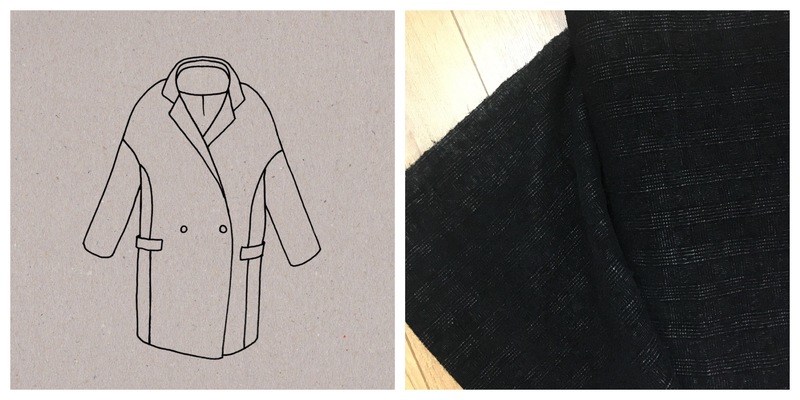 Does the aime comme montmartre coat have instructions in English? It does have English instructions though I haven’t gone though them yet so I’m not sure how detailed they are! On other Aime Comme Marie patterns I’ve used, I’ve always found them to be a little bare! I’m hoping it’s a simple enough pattern that I won’t really need them though! Totally rooting for you to finish as many as you can! 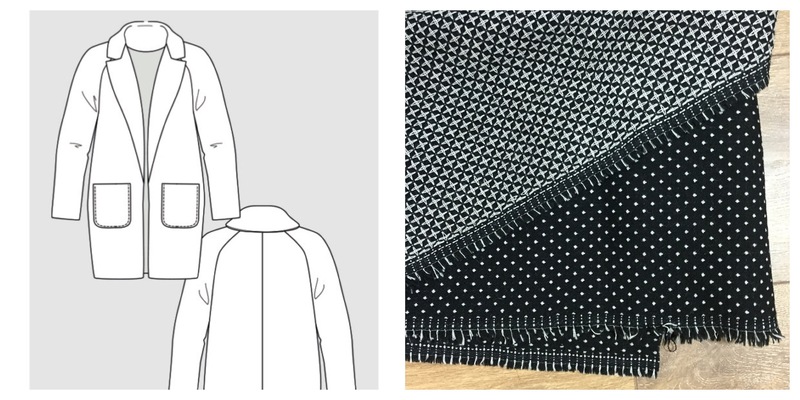 How exciting – I love reading about coat makes! 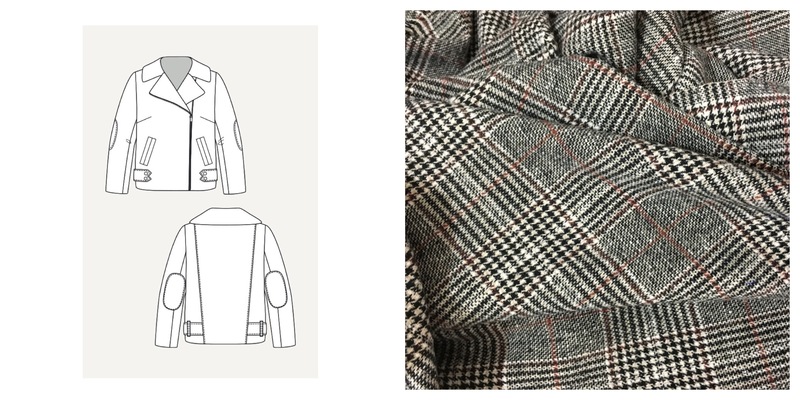 If you do make the Cascade duffel coat this winter, the sewalong for that pattern is awesome – although there are a lot of pieces in a duffel (and a lot of layers) there isn’t a lot of actual tailoring to do, so I don’t think it’s as scary as it looks. Go for it! Haha! Thanks for the tip! The B6244 looks like a gorgeous pattern. I hope yours turns out well!